Nowadays, you find banks and other financial institutions conducting online auctions. Even the auction houses are moving away from the physical auctions to the online mode. Under such circumstances, there is a great demand for the auction themes. This kind of Business WordPress Theme is becoming very popular today. These themes have to be compatible with WooCommerce and WPML. These themes are responsive ones with compatibility with several kinds of browsers. These are special kinds of themes with special requirements. Ideal for conducting auctions, the Simple Auction WordPress theme comes with a modern design. The homepage drag and drop options allow for easy building of web pages. Compatibility with WooCommerce makes business transactions easy. Adaptability with WPML enables you to use the theme in various languages. This theme supports a simple kind of auction. Online auctions have become very common today. This Premium Online Auction WP theme allows for auto bidding and buy now options. Easy to customize, you can have access to bidding histories and ratings as well. SEO friendly, this theme has a responsive design. Compatibility with WooCommerce should be one of the prime requisites of auction themes. 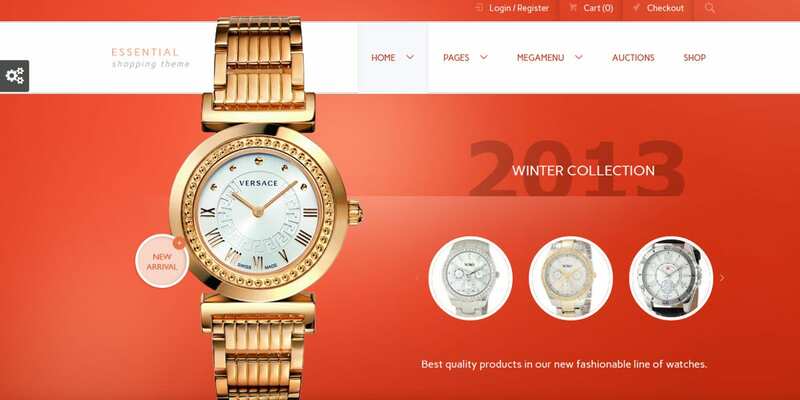 This clean theme is compatible with the latest versions of WooCommerce and WordPress as well. Adaptability to the WPML allows you to use the theme in many languages. You have access to unlimited color schemes. This Responsive WordPress Theme is retina ready. This could be a complete auction theme. It allows you to conduct auctions or reverse auctions. Using this theme, you can let the visitors place their bids and change them too during the course of the auction. You have the facility to set the time duration for a particular auction as well. Compatibility with WooCommerce is essential. In short, this theme is a complete package. 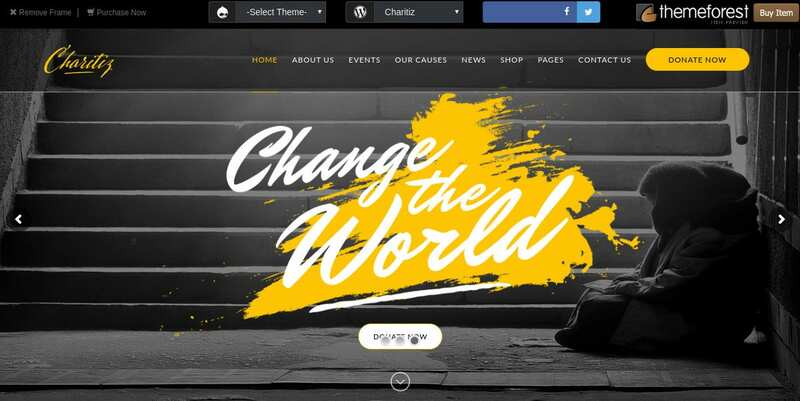 This is a multipurpose theme that caters to auctions, donations, and charities. Built on Twitter Bootstrap, it comes with an Auction Plugin. The Visual composer and the slider revolution Plugin options are additional features of this theme. Other important features of this theme are the Zotheme Plugin and the Contact Form 7 PlugIn. 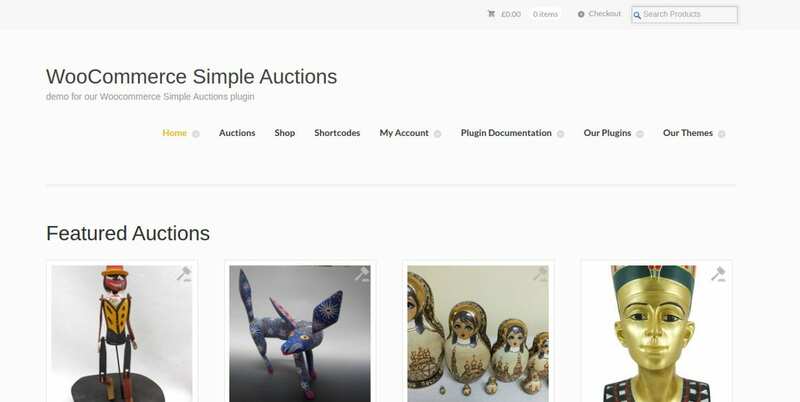 This simple auction theme is an extension of the WooCommerce PlugIn. 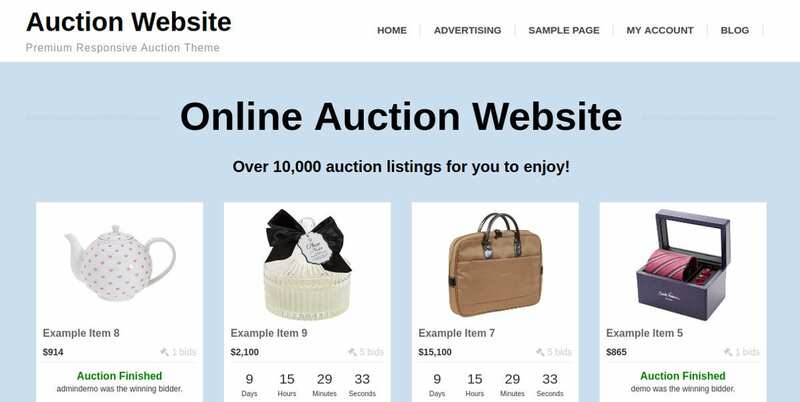 This allows you to set up and customize WordPress auction solutions. This is a powerful theme in many ways. You can use it for various kinds of auctions such as normal, reverse, and sealed auctions as well. You can set a start and end time for an auction. The main feature of these auction themes is the easy availability of business transactions. 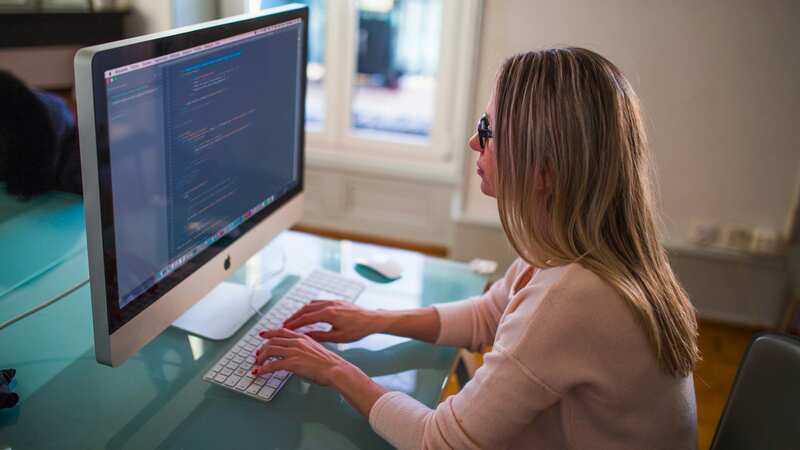 Compatibility with WooCommerce ensures that these business transactions go off smoothly. These special themes have certain distinguishable features that are not usually observed in the normal themes. They have become very popular today because of the huge market demand. These eCommerce WordPress Themes have come to stay for a very long time.